Possible to install with other designs to give a wave effect. Internal square dimension 112mm (4.5 inches). Centre to centre of square is 150mm (6 inches). Sizes - Width 1.83 metres (6ft). Height ranging from 0.61 metres (2ft) to 1.83metres (6ft). 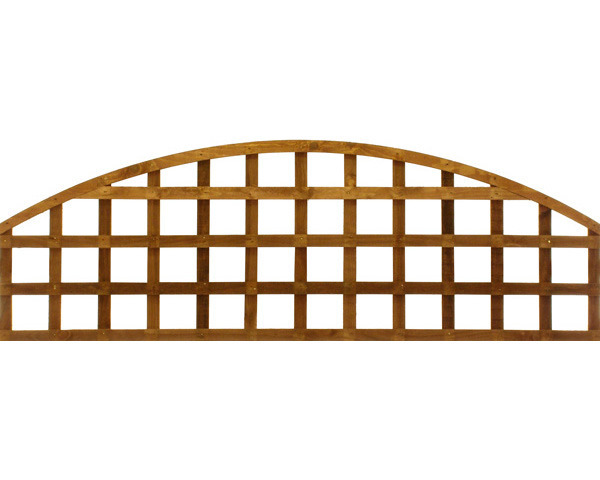 Colours - Dipped Trellis Panel is Golden Brown and Chestnut.